Photos from the 2010 Syracuse Hydrofest presented by the Updowntowners of Syracuse with race organizers the Central New York Hydroplane Association (CNYHA). For more information about hydroplane racing visit the Inboard Hydroplane Racing website. 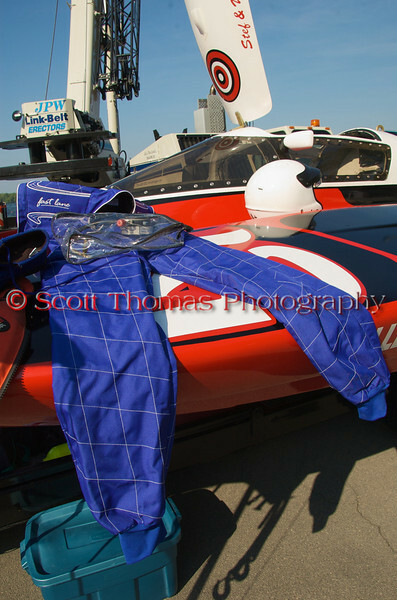 Driver safety suit worn by hydroplane racers at the Syracuse Hydrofest 2010 held at Onondaga Lake Park near Liverpool, New York on Saturday, June 19.